Students make weekly visits to the Latimer library with their classes. Depending on their grade level, students may check out one book (K-1st) or two books (2nd-7th), and may keep them for one week (K-3rd) or two (4th-8th) weeks. If your child needs more time to finish a book they may renew it at least once. Parents may also check out extra books to read with their child at home. Check with Mrs. Grigsby for more information. In addition to weekly visits with their classes, 1st – 7th grade students can visit the library, Tues – Fri, during snack recess and lunch recess. How to make your student’s library experience successful. Encourage your child to share their books with you. Make a time and place for daily reading. Help your child find a safe place to keep their library books. Remind them what day is their class library day (Library Schedule)Lost or damaged library book? If a book is lost or damaged, encourage your child to handle the problem responsibly by bringing it to the librarian’s attention. Help your child carefully check their backpacks, your home and cars, and daycare provider. If the book does not turn up, please help your child check their desk, cubby, and classroom library. Tell them to talk to Mrs. Grigsby, she will check the library shelves and see if it was returned to the shelf without being checked in on the computer. If the library book is indeed lost, then you can replace the book with another copy of the book or you can pay a replacement fee. District policy defines replacement value as $10 for paperback books, $20 for hardback fiction, and $25 for hardback nonfiction books. Fees may be paid in cash or checks payable to Moreland School District. If you have questions, please contact Mrs. Grigsby in the library. If you find the book within 30 days, your money will be refunded. If it is longer than 30 days, you may keep the book or donate it to the library. Until books are returned, replaced, or paid for, students cannot check out another book. Our library catalog is available over the web. 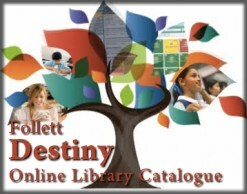 Go to https://library.moreland.org/Click on "Latimer" to view the Latimer Library catalog. 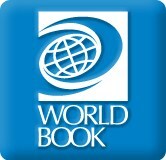 Don’t forget you can do research at World Book Online. Enter Username: moreland and Password: moreland.